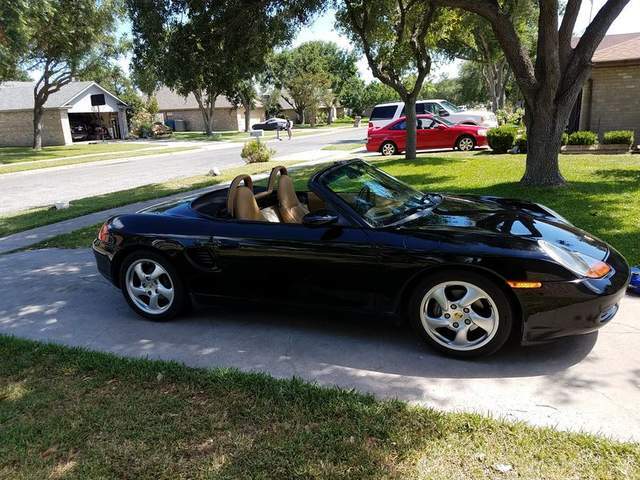 I recently picked up a 1999 Boxster in the Corpus Christi area of Texas. I'm loving it so far, and look forward to having fun with it. It's a high mileage car, black with tan and black interior. There is some maintenance to do to it, and some body work on the boot and bonnet, but it's in great shape. Looks great from MY house! Haha. Sweet, same color interior as mine! The tan and black make a great color combo. Congratulation and Welcome to 986forum! Same here with 99 boxster.